Our Board of Directors support and act as ambassadors for Goodwill’s mission of empowering people with disadvantages and different abilities to earn and keep employment through individualized programs and services. It’s through their blend of expertise and diversity that the Board of Directors makes an important contribution in guiding our non-profit to help people in need reach their full potential through the Power of Work. 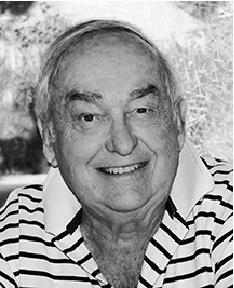 Bob Barton, appointed to our Goodwill of Western MO & Eastern KS Board of Directors in 1970, remained on the board until his passing in April 2018. Bob, recruited by a long time board member, felt that the mission of Goodwill was something he wanted to be a part of during his life. Bob served as Board Chair, Treasurer, Chair Finance Committee, Long Range Planning Committee, CEO Selection Committee and Executive Committee. We are so grateful for his dedication to Goodwill to empower people with disadvantages and different abilities to earn and keep employment. Chris Winger, appointed to our Goodwill of Western MO & Eastern KS Board of Directors in 1992, remained on the board until his passing in October 2017. Chris followed in the footsteps of his father, grandfather and great-grandfather, who were all appointed to our Board of Directors before him. Chris served as Board Treasurer for four separate terms, as well as Chair of both the Finance and Audit Committees during his tenure. We are so thankful for his dedication to Goodwill to empower people with disadvantages and different abilities to earn and keep employment. Bob Smart, appointed to our Goodwill of Western MO & Eastern KS Board of Directors in 1958, remained on the board until his passing in March of 2016. During his 58 years of service, Bob held several positions on our Goodwill board including Treasurer, Vice Chair, and Chairman of the Board. He also served many years on our Trust Fund, Nominating and Executive Committees. We hold him in high esteem, and are eternally grateful to his firm dedication to the power of work, that by empowering people with disadvantages and different abilities to earn and keep employment we strengthen the foundation of personal and community stability.